Just in case it wasn't bad enough that our beloved Nintendo characters are forced to smash each other to bits in Super Smash Bros. 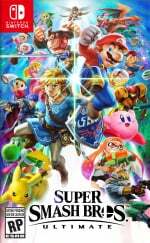 Ultimate, and that almost all of them have just been completely annihilated by a giant ball of light in the sky, this limited edition Spanish box art has now attempted to erase Pikachu from the equation entirely by plastering a huge number 12 over his precious little face. The cheek of it. You may remember that earlier this year, an early look at the German physical box art revealed that Yoshi was no more; Europe's large USK rating symbol forced Pikachu to squeeze up a little too much, leaving no room for poor Yoshi to be featured. While that was a horrendous act in itself, we feel that this one is even worse, with Pikachu still being called up for the photo shoot just to see his dreams be ruined in the final cut. The photograph of this box comes from Twitter user @Sylvalum; a number of Spanish fans appear to have received early deliveries of the game as retailers attempt to combat potential postage delays in the upcoming public holiday. ¡No pregunto por cuando lo vendéis! If you're worried about the appearance of your own future copy, you'll be pleased to know that this won't affect every region. As noted above, Europe often faces larger rating stickers than other regions (although this still changes between individual countries) so chances are it shouldn't get any worse than this. Still, at least now poor old Mike Wazowski can have someone who understands his feelings. As ever, feel free to share your thoughts on this disastrous turn of events in the comments below. Press Pegi 12 to pay respects. This is not true, that's only the cover of the box inside the limited edition, the standard one only has the PEGI symbol and the full cover. At least he's still there unlike Yoshi. I'd say it serves him right for hogging Yoshi's spot! They really should allow for mandated age rating icons to be placed on the rear of the product rather than the front. Real estate on the back cover of these game cases are criminally under-utilized. Plenty of blank space to implement rating symbols without having to conceal the product artwork. @ryancraddock Yah, just found out, my bad, anyway, it seems it is the European version, not the spanish only, as USK is the german age system. Yes people exist who can even place a label with a little common sense. ...Slow news day I'm guessing? @Joeynator3000 No, this is major news. I blame the mad Russian, certainly his doing. BAM! In your cuddly-cute-face, Pikachu! Dammit I should've gotten the game shipped instead of reserved for store pickup at GAME. German age restriction logo is bigger than the Switch logo itself. There must be a law that should forbid this. After all Germany is promoting the idea that all European countries should be united in everything. How come they still have a different restriction system and logos than the rest of Europe? @Bustacap The UK rating system was older than the German one and yet it now uses the PEGI system so the German usk being almost 10 years older than PEGI is not a valid reason. @MushHill_Act1-1 It is bad that I read that in Ryan Reynolds' voice? 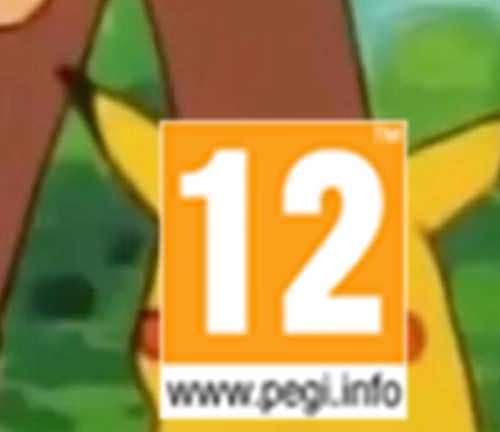 guess even pegi is getting tired of all the focus thats gets put on pikachu. 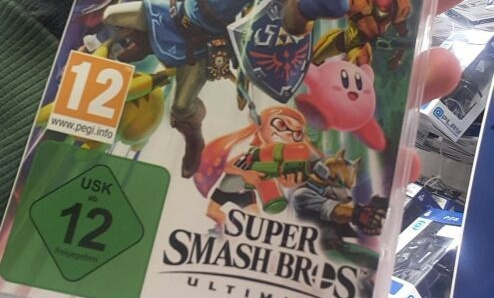 As a collector and boxart enthusiast, I don't know how I'd cope in Germany with those huge ugly USK rating symbols ruining my whole collection. Thankfully, in the UK, we get the perfectly fine PEGI rating symbol (which, considering it's supposed to be the Pan European rating system, I don't know why Germany still needs the USK one). I think Australia has huge ugly rating symbols as well don't they? 2 hot 4 Spain. Poor guy. Pika? Pi!..../Pikachu is slapped in the face with the pegi rating. This is Waluigis revenge for not being invited to smash. Silly PEGI, 12 is Butterfree's official Pokedex number! #25 is where it's at! This is so sad. Alexa, play Despa-chu. I forgot about that scene in Monster's Inc.
That's the international special edition. 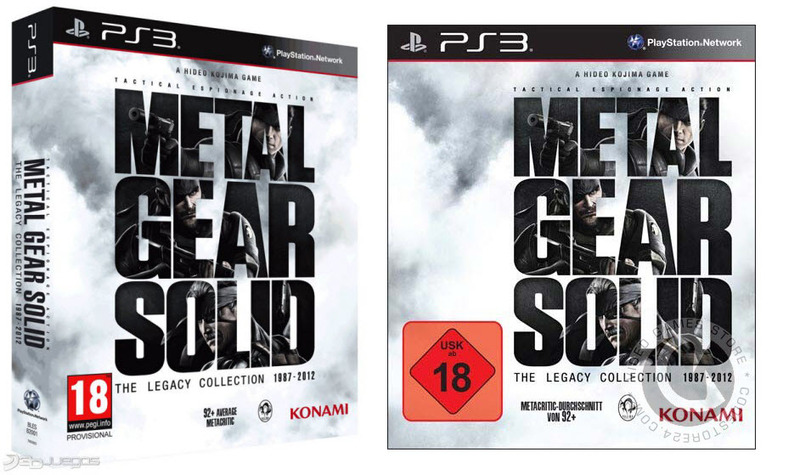 Special editions are usually multilanguage and pan-European. Seriously though, that German USK rating thing is stupidly big, it never ceases to amaze how it has to cover half of the box. The PEGI rating is sensible at least. Well damn, those look as awful as ever. As a Spanish player, that's yet another small reason why going digital for this one is not a big deal. Reminds me of Mad Magazine #386. It was Pikachu's face, or Link's knee. We all know what we want... right? It's ridiculous. Especially when they have to rearrange the damn boxart just to accommodate it. I don't know why Germany doesn't just use the PEGI one like the rest of Europe, or at least not make the symbol so unfeasibly big. I think it's because of specific German laws that aren't covered by the PEGI standard. Think of Nazi imagery and gore. Germany is pretty strict on those. @Haywired I like the smaller 18. Do they think kids won't get their grubby hands on it even with the labeling. They still don't get it do they. Damn it. I was looking forward to spending hundreds of hours staring at the box art, guess I'll just have to spend it playing the game. Seeing as this is the Limited Edition, I guess all European limited editions will have the same issue (as they’re all marked «EUR», instead of the usual «UKV», «SCN» etc.). Why would they have the German USK logo on it? What's the point in having two 12s plastered onto the box? I just want to try this game !! Having a clean version of the same design on the reverse side seems like the obvious solution. Same case as Mike Wazowski on Magazine cover from Monster Inc.
Those tags are a crime and they should be on the back only. @Shizuephan - That's more offensive than the rating labels! @BlueOcean - Used to, but you unwary parents projecting blame over their personal missteps. We now have zoos who have 3 fences, a ditch and a guardrail between them and the animals, all of which have warning signs because of actions like these. Monsters Inc was my first thought too. As much as people criticise the relatively large Australian rating logos, I like them as long as there are no typos or superfluous inclusions in the consumer advice portion of the logo. Payday 2 has a glaring misprint (they used the Australian R18+ logo, yet put in the New Zealand content descriptors). It bothers me enough that I would consider double dipping if they released a version with a corrected cover, but I doubt that the game has sold out of its initial shipment for that to occur (some stores just printed out their own corrected rating logo and plastered it over the original). Likewise, Sega Mega Drive Collection contains various previously classified games (the compilation itself is not classified), of which the highest rated game is M for "Low level animated violence" (which was the style of wording from the early 90s to late 2005), but they have also included the descriptor of "Mild horror theme" for a lower rated game(s). The consumer advice is supposed to only reflect the highest impact content that resides within the work (that was responsible for the issuing of its respective classification category; like what PEGI and CERO does), and not all of the content (which is what ESRB does), and that bothers me as well as these are rather conspicuous typos (in my eyes) on otherwise appealing packaging. Also, games rated G (that lack any content descriptors) will have a smaller symbol on the cover (without the right half which is reserved for consumer advice), but they are now being printed by Nintendo with the second half, merely to include the word "General". It's totally unnecessary, and something that Nintendo have only started doing recently, and I wish they would stop. With our rating symbols being as large as they are, this unnecessary inclusion obstructs the cover art and does not provide the consumer with any useful information. Compare the Australian covers of the Wii U versions of Captain Toad: Treasure Tracker (which was done right), and the awful Switch/3DS covers. Nintendo have completely ruined the 3DS cover with this stupid decision, which has forced everything to move to the right with a heap of dead space on the left. What kind of idiot designer makes these decisions?! Although our cover problems aren't anywhere near as bad as Germany's, I do feel your pain. What about the people who hate Pikachu? They could actually be happy they don't have to see him. This kind of thing probably drives collectors nuts. Fire Emblem Warriors had the right idea, no age labels at all on the game boxart but have them on the bundle boxart instead, not this nonsense. Yet, in this unboxing video the EU LE has no USK logo at all on the actual gamebox itself (it's placed on the outside packaging box, like all other switch 1st party special editions). Aw man I was about to make that Mike Wazowski joke, curse you clever NL writing staff! Hello, I'm @Sylvalum, the person of the referenced Twitter account in this article. Thanks for helping to clarify things and have fun with Smash Bros Ultimate tomorrow, cheers! Oh, thank you so much for your kindness, I hope you can also enjoy thousands of hours playing Smash! Same! The best news of all this is that Nintendo is still printing the boxarts of their special editions without those horrible logos. They put them in the Let's Go Poké Ball Plus editions and I was quite worried, haha. Overcame my lazy ways to heart/like this post - Nearly spit my drink! Hahaha! Lol: Pikachu isn't rated E for everyone!